The first of three upcoming Amenra split releases. 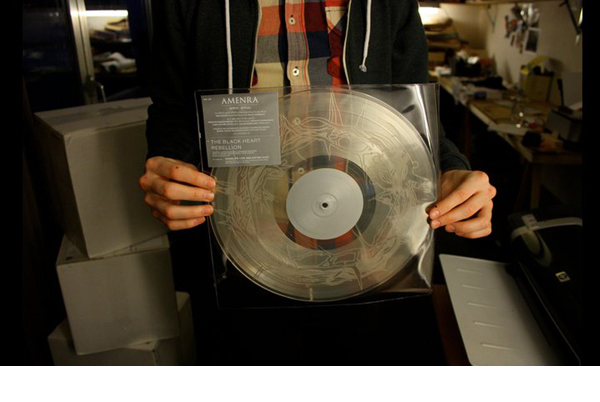 Limited edition of 500 copies on crystal clear vinyl! Side A features the songs « Aorte/Ritual », a soundtrack to Colin’s live crucifix suspension and performed live by Amenra with the help from additional musicians during their epic « 23.10″ concert. The tracks « Aorte/Ritual » were later mixed and mastered by Billy Anderson (Neurosis, Sleep, Swans,…). Black Heart Rebellion recorded an exclusive song for this release entitled « Crawling Low and Eating Dust ».